New Zealand broadcast the Islamic call to prayer nationwide Friday to honor the Muslim community in the wake of the Christchurch mosque attacks. 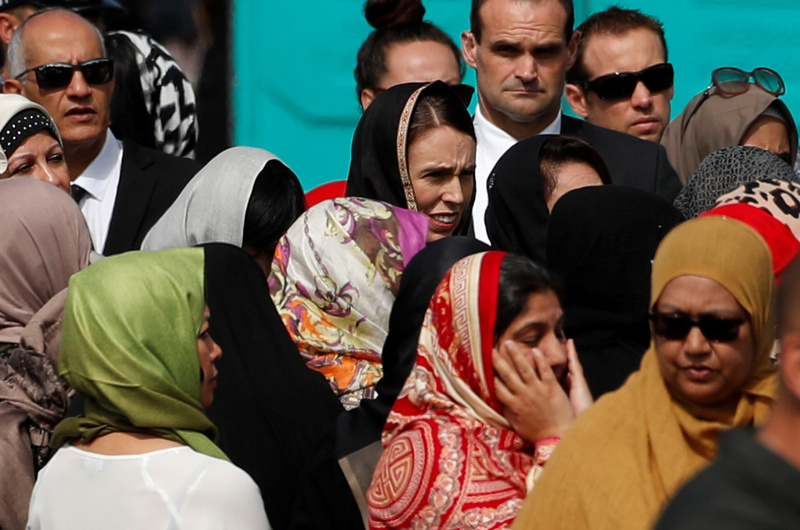 Ardern recited a passage from the Koran just before the recitation of the call to prayer, first in Arabic and then in English. “New Zealand mourns with you. We are one,” she added. An imam then gave the call to prayer, which was broadcast on both television and radio across the country. A social media campaign also called for non-Muslim women to wear a hijab on Friday in solidarity with the Muslim community. A mass burial for the 50 people killed in the attacks is expected to take place later on Friday. Government officials reportedly worked to prepare the bodies for burial until 1:30 a.m. local time on Friday.